Poetry and I are not the best of friends. I have tried to break down the strange mental barrier that seems to separate me from true appreciation of the art, but to no avail. I think it likely that I will never be the kind of person to wistfully leaf through poetry anthologies for leisure, however romantic the idea might sound. There is, however, one poet for whom I will always make an exception – Pablo Neruda. With this Friday marking what would have been his 109th birthday, I thought I would set aside a post to celebrate Neruda’s contribution to the world of literature. After coming across his name in relation to my studies, it was discovering Isabel Allende’s allusion to him as ‘The Poet’ in The House of the Spirits that provoked me to take a look at his work. 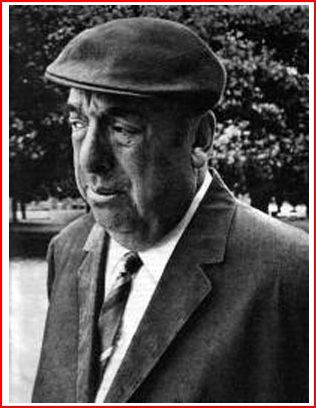 Pablo Neruda was born in Chile in 1904 and began producing recognised volumes of poetry in his teens. With such an early start and a talent that only grew with time, it is little surprise that he received the Nobel Prize for Literature in 1971. Sadly, Neruda is also well known for the circumstances of his demise. As an ally of President Salvador Allende, who was overthrown by General Augusto Pinochet in the military coup in 1973, Neruda was obviously one of the top targets of the new dictatorial regime. His death in hospital on 23 September 1973 – just a few days after the coup – was ascribed to heart failure. Questions remain regarding the accuracy of this conclusion, with strong indications that he may have died at the hands of the military junta. If Neruda’s life interests you at all, I would highly recommend reading Pablo Neruda: A Passion for Life by Adam Feinstein. It is a truly fantastic biography, painting a detailed picture of Neruda’s complexity and brilliance. 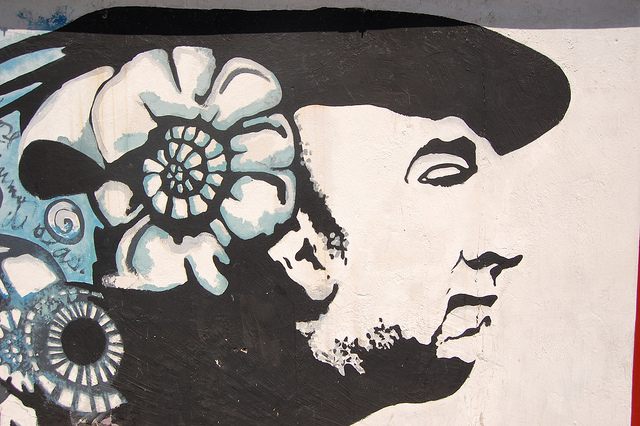 Neruda’s unfortunate and premature death only adds to the resonance of his legacy. He is, however, first and foremost remembered for his remarkable poetry. After spending a huge amount of time debating which poem I would like to reproduce here (an unenviable task), I decided that I should start at the beginning of my conversion – with the first of Neruda’s poems that I came across and, in my opinion, one of the best examples of his mastery.